Seattle attorney Joanne Werner was a successful and highly trained nurse for 20 years before earning her law degree. She not only worked as a registered nurse in Washington State, but earned her masters degree and taught nursing to others entering the field. 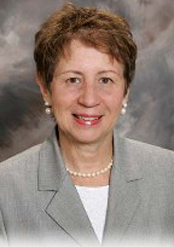 This medical background and practical experience provided an excellent foundation for her law career, allowing her to understand and explain complex medical information to judges and juries, and to assist people who have suffered catastrophic injuries through the negligent, reckless, or wrongful conduct of others. The Law Office of Joanne R. Werner represents clients in medical malpractice and nursing home negligence, negligence with personal injury claims and wrongful death suits. Contact our Seattle law office today for a consultation. After receiving a Bachelor of Science in Nursing from Duke University and a Master of Science from University of Colorado, Attorney Werner obtained her Juris Doctorate from Seattle University in 1992, where she was a member of the Law Review. She has been practicing law since 1993. In addition, she served as an adjunct professor at Seattle University School of Law where she taught pre-trial techniques and strategies. Ms. Werner represents adults and children who have suffered serious injury or death as a result of the negligence of others. She handles each case personally and rigorously fights to obtain just compensation for her clients and their families. Her knowledge of medicine and law make her uniquely qualified to understand complex medical issues and represent seriously injured people. Ms. Werner is a member of the Washington State Trial Lawyers Association, the American Trial Lawyers Association, and the Brain Injury Association of Washington. She was selected to be a member of Sigma Theta Tau, the National Honor Society of Nursing. She is admitted to practice before both state and federal courts throughout Washington State. Attorney Werner provides skillful and compassionate legal representation to clients across Washington state, including King County, Pierce County, Spokane County, Whatcom County, and Yakima County, and the communities of Seattle, Bellingham, Spokane, Tacoma, Yakima, Seattle and Puget Sound. View the firm’s profile at findapersonalinjuryattorney.com. All personal injury cases are accepted on a contingency fee basis. If we accept your case, you will pay no fees or costs until you receive a financial recovery for your case. If there is no recovery, you owe no fees or costs. Contact Joanne R. Werner today for an initial consultation regarding your Washington medical malpractice or personal injury claim. Call toll free: 1-800-424-3352.